After a long 2018 season, we are at the cusp of what proves to be a somewhat predictable playoff race. Yeah, we hoped our teams would make it, but even for those that did not (@ the Browns), things are not looking too shabby. Still, to those that did make it to the playoffs, are we surprised by the results? I am not, although that Seattle loss did hurt a bit (NEVER MISS YOUR TEAM’S GAMES, ESPECIALLY THE PLAYOFFS. I learned the hard way…). My heartbreak will continue, but this weekend’s games are definitely making up for it. So who will come out on top and battle it out in Super Bowl LIII? I am really torn about this game because I honestly think either team could win. I want to be biased and pick the Saints because, as an NFC West rival, I cannot pick the Rams. However, I feel like the Rams will come out on top. Todd Gurley is definitely top-2 in terms of the MVP race, as he leads the league in total touchdowns (a whopping 21) and is top-3 in total rushing yards (1251). He is just an animal and I do not think the Saints defense will be able to contain him. Defensively, the Rams have been okay, but behind powerhouses like Aaron Donald (20.5 sacks and 25 tackles for loss), they are not to be underestimated. Even with these mind-boggling stats, the Saints could definitely put up a fight. You cannot go wrong with Drew Brees. He is literally the safest bet when it comes to throwing the ball (averaging 115.7 passer rating), and it makes sense when we look at his receivers. Michael Thomas leads the league in receptions (125) and has totaled 9 touchdowns this year. The running game is worth noting as well. Alvin Kamara is second in total touchdowns behind, you guessed it, Gurley. While the Rams dominate the stat sheet, the one who is known best for disregarding all of this is Brees. He leads the league in comebacks (6) and game-winning drives (7), so watch the entire game because you truly never know. Regardless of whether or not these are your teams, this game will show you why you are a fan of the sport. While I want to see Brees get another well-deserved ring, he and the Saints are about to face their toughest challenge yet. Let’s get ready. Picking a winner for either of these games is like picking a favorite picture of your puppy—it is beyond tough. 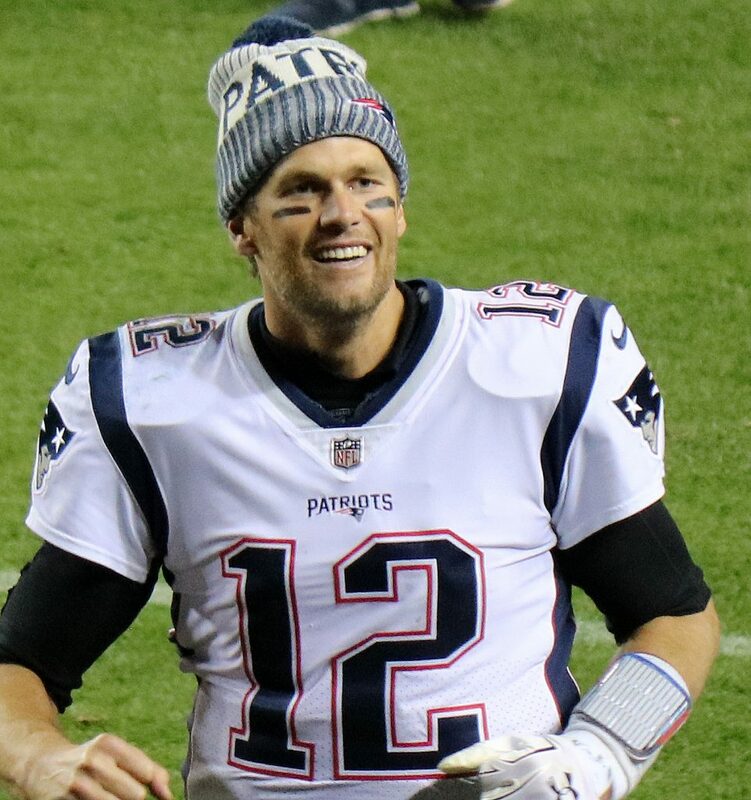 Between the legend Tom Brady and first-year playoff starter Patrick Mahomes, I think you know who I will pick. That is right: I pick you, Mahomes! Credit is due to Brady who tore it up against the Chargers last week, but I just like Mahomes more. The Patriots struggled a lot during the regular season, and while the playoffs bring out the best in experienced players like Brady, the Chiefs are looking too good to lose. Mahomes’ stats alone are astounding—he leads the league in passing touchdowns (50!) and is second in passer rating (113.8). He is killing it. And it is not just him. Tyreek Hill has put up terrific numbers as well in receiving yards (4th with 1479) and receiving touchdowns (4th with 12). Travis Kelce made it into the top-10 in these categories as well with 1336 receiving yards (10th) and 10 receiving touchdowns (6th). I could go on and on about Kansas City, but you know how good they are and that is why I believe they will come out on top. However, let us not forget who they are facing: the Patriots. You can never really count them out of any game—trust me, I have tried. Even if they start off slow, somehow the team manages to get its act together and win the game. This was evident in the beginning of the season when everyone questioned if the infamous dynasty was collapsing due to their mishaps. The Patriots quickly dismissed these ideas and have once again proven why they are a dominant force and have been for a long time. While they are not leading in any major stats category—seriously, Tom Brady is 10th in touchdowns with 29—they are not worried. Indeed, no Pats fan should be worried—heck, you have Brady. If there is a GOAT in the NFL, it is him, but against up-and-coming threat Mahomes, he will definitely be put to the test. This one is going to be a nail-biter as well and it should be interesting to see how the game plays out. Will it be the offense backed by these incredible quarterbacks or will each defense step it up? I have these predictions, but in reality, I might change my mind tomorrow. That is just how close these games are. The interesting factor that should be addressed, however, is the impact of defense and special teams. Obviously we are aware of the tremendous offensive game for all these teams, but it may come down to a field goal or certain play call. We are truly in for a treat on Sunday and I cannot wait.